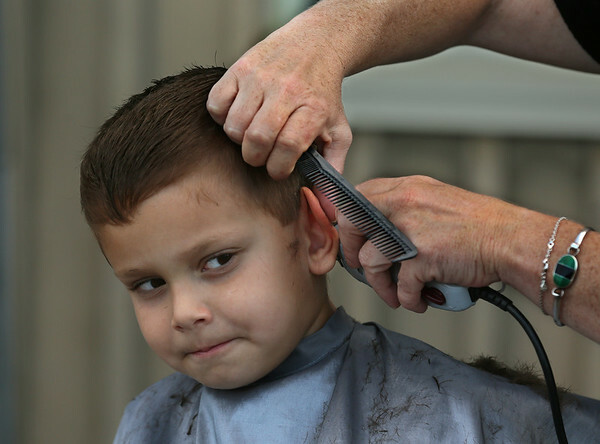 Massimo Chambers sits still for a haircut Thursday by Lori DiCicco of Great Clips as Massimo prepared to enter kindergarten at Veterans Elementary School in Gloucester. The free haircuts were offered during an ice cream social for students and their families celebrating the start of a new school year. Classes begin next Tuesday.